Home | MoM answers | Feeding your baby/toddler? Do you make your own food? Or do you prefer to buy pre-packaged from the supermarket? 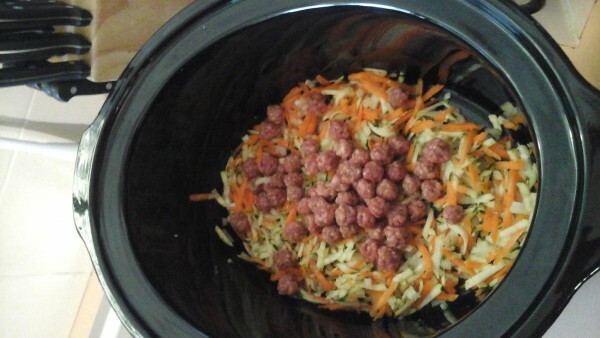 I have just started giving my child solids, and so far I have been preparing the food at home. I had a look at the pre-packaged foods available at the supermarkets and I am very surprised by the amount of sugar that is contained within these pouches. I am going to try as long as I can making my own food. I do a mix of both. My toddler has things like chicken sticks, fish fingers, spring rolls for lunch, all from the supermarket that I just cook in the air fryer. However for dinner she wants a home cooked meal, like rice, beans, broccoli and steak. I definitely make my own food and have containers and ice packs for when we are out and about but I do have some pouches for back up! Definately made my own. I would only buy the organic pouches and jars in case of emergency. I mostly made my own and used bought for am emergency or when travelling. As soon as my little one started tasting family food she wouldn’t touch bought baby food. You need to make sure your baby will eat bought baby food before you rely on it when out and about. A cousin of mine used it very occasionally in case she needed to use it in an emergency. Also she had friends with babies and her son was older, so she kept one jar on hand in case friends called in and she invited them to stay for a meal. What she had in the fridge wasn’t always suitable for a baby. I tend to cook up a lot of vegies and pasta or rice and freeze them. However I tend to buy fruit pouches as they are convenient for when we are out and about. I think bought baby food is really good these days, and to be honest, I just don’t have the time to make it all. I tend to make my own as it become expensive to buy store bought all the time. Having said that, I also buy store bought at times just for the convenience factor and when I’m time poor. I do profer to make my own food as much as I can but I do buy baby sachets from the store as a emergency or for a unplanned outing. 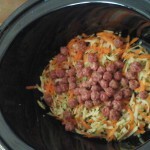 I love using my slow cooker to make food as I have 2 kids and I don’t always have the time to watch the food cool or to remember it’s on the stove. it is very easy to make your own but it is convenient to get jars.